Monaco have lost ground on Ligue 1 leaders Paris Saint-Germain over the last month and need to respond against Toulouse on Sunday. A home loss to relegation-threatened Valenciennes in December was followed by a 1-1 draw at Montpellier last week. And champions PSG capitalised on the slip-up made by Claudio Ranieri's side, as they surged five points clear at the top of the table with victory at Ajaccio last time out. Toulouse are in good Ligue 1 form, unbeaten in six, and won 1-0 at Bordeaux on Saturday - a result that lifted them to 10th in the table. Monaco striker Radamel Falcao has battled injury issues this season and has scored just once in his last four matches for the club, with Ranieri desperate for the Colombian forward to find form. PSG host sixth-placed Nantes on Sunday and will be buoyed by their 3-1 Coupe de la Ligue win at Bordeaux on Tuesday. Goals in the last five minutes from Adrien Rabiot and Blaise Matuidi helped the capital club into the last four, as their bid for a domestic treble gathered pace. PSG won 2-1 at Nantes earlier this season thanks to Ezequiel Lavezzi's late strike and will enjoy returning to Parc des Princes, where they have not lost in the league since November 2012. Third-placed Lille are now just two points behind Monaco and take their outstanding record to Saint-Etienne on Friday. Lille have conceded just 10 goals in 20 Ligue 1 matches and will hope to make the most of Saint-Etienne's humiliating Coupe de France exit at fourth-tier Cannes on Tuesday. Saint-Etienne, who sit fourth, had the chance to win the penalty shootout that followed a 1-1 draw, but lost their nerve as Cannes celebrated a famous triumph. Marseille host troubled Valenciennes on Saturday, with the latter facing the prospect of being administratively relegated at the end of the season if their financial problems continue. They might drop to Ligue 2 on form anyway, but victories in their last two league matches have boosted spirits and seen them rise to 18th. Other fixtures on Saturday see Bastia take on Bordeaux, Lorient battle Guingamp and Nice face Ajaccio. There are also matches between Rennes and Evian TG, and Sochaux and Montpellier, while a slowly-improving Lyon hit the road to face Reims on Sunday. A place in the semi-final of the Coupe de la Ligue will be at stake when Paris Saint-Germain travel to Bordeaux on Tuesday. The Ligue 1 leaders have already beaten Francis Gillot's side twice this season and another victory at Stade Chaban-Delmas would see them progress to the last four. Not since May 2011 have Bordeaux beaten the Parisian giants and they come into the game on the back of a 1-0 home defeat against Toulouse. PSG had to come from behind to beat bottom-of-the-table Ajaccio 2-1 on Saturday, with Blaise Matuidi scoring the winner. France midfielder Matuidi was also on target when the Ligue 1 champions won 2-0 at Bordeaux in September and Laurent Blanc's men were 2-1 victors in the Trophee des champions back in August. The other three quarter-finals will be played on Wednesday night and the pick of the ties is a repeat of the 2012 final between Marseille and Lyon. Lyon have home advantage against Jose Anigo's side, who came back from two goals down to draw 2-2 at Stade Gerland in Ligue 1 last month. Marseille beat Lyon 1-0 after extra-time in this competition two years ago, so the home side will have a score to settle. 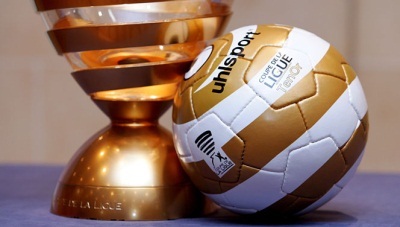 Troyes are the only team from outside the top flight remaining in the competition and the Ligue 2 outfit will be looking to spring a surprise when they host Evian. Nice won 2-0 at Nantes in Ligue 1 earlier this month in the Coupe de France and the two sides lock horns once again at Stade de la Beaujoire in the last eight. Malaga captain Weligton is keen to see his team draw the curtain on the first half of the Primera Division season with a winning display against mid-table rivals Levante on today. With this weekend's fixtures denoting the midway point of the campaign there is little to separate the two teams, with 11th-placed Malaga above their opponents on goal difference only. Malaga were beaten by Atletico Madrid last time out while Levante have lost their last two matches in La Liga, and Weligton is keen to put some fresh air between themselves and their rivals. "A win is fundamental to us," the Brazilian defender told the club's official website. "We've got a difficult away match on today, and following that we've got some tough games coming up at the start of the second round. "However we're solely focused on our next match against Levante at the moment, and gaining three important points this weekend." However, Weligton fears defensive woes may not help the team, with Vitorino Antunes and Marcos Angeleri suspended while Jesus Gamez and Eliseu are battling injuries. He said: "We're all hoping that our team-mates recover in time for today's match, as they're important members of the team. "However if they're not match-fit in time, the coach has a 'plan B' and we're all ready to get out there and play. "We can end the first round of the league season with 23 points, so a win on today is crucial." Levante were in Copa del Rey action in midweek, playing out a goalless draw with Rayo Vallecano in the opening leg of their last-16 clash. Although their aim remains to keep away from the relegation zone in La Liga, goalkeeper Javi Jimenez admits he is enjoying their cup run and the added confidence it brings to the squad. "We remain fully focused on the league but the thinking is that a cup run brings all-round benefits as well," he said. "It is a great competition and the further we go, the much better it is for all of us." Juventus have the longest winning run of the 2013-14 Serie A season in their sights as they prepare to visit Cagliari on Sunday. Juve currently share that record with Roma, who kicked off the season with 10 straight victories, but a 3-0 triumph over the men from the Italian capital last weekend has teed them up to surpass that marker. Antonio Conte's men have not been short of goals during their winning streak, netting an average of 2.6 per match, and success against Roma put the reigning champions eight points clear at the top of the table. However, Juventus will be wary heading into this tie as Cagliari held the Turin outfit to a 1-1 draw when the sides last met in May. Victor Ibarbo put Cagliari ahead at Juventus Stadium, before Mirko Vucinic spared the hosts' blushes just after the hour mark. That said, the head-to-head record between these clubs reads in favour of Juve, who have not tasted defeat in the last seven league meetings. The Sardinians currently sit 12th and have carved out a reputation as draw specialists in recent weeks, with five of their last six games finishing all-square. Cagliari's last defeat came more than two months ago, when they went down 2-1 at Verona on November 3. Conte knows his Juve side cannot afford to take their eyes off the prize in the pursuit of a third consecutive Serie A title, and has vowed not to get carried away following the win against Roma. "Our victory against Roma was a step forward," he said. "This is all it is. "There is an entire second half of the season to go. Anything can happen from here to the end of the campaign." Juventus will be without the suspended Andrea Barzagli for the trip to Cagliari, while Nene is expected to miss out for the hosts. The pressure is on Real Madrid to beat Espanyol on Sunday and close the five-point gap to La Liga's top two, Barcelona and Atletico Madrid. With Barca and Atleti playing each other on Saturday, Carlo Ancelotti's side will make ground on one or both of them if they can extend their unbeaten run over Espanyol to 12 games. Espanyol have endured an inconsistent season under Javier Aguirre so far with only six league wins to their name, although one of those did come against Atletico at Estadi Cornella El Prat in October. The Mexican may not be on the sidelines though after being sent to the stands during last week's 1-0 defeat to Osasuna, if he is found guilty of abusing the referee he could face a touchline ban starting this weekend. Stopping Real Madrid will be difficult given the 32-time league winners have amassed 31 goals in their last eight league matches, with forward Cristiano Ronaldo getting 12 of those to take him to the top of the goalscoring charts in Spain with 20 for the campaign. The Portugal international is one of the most in-form players across the continent and is odds-on favourite to lift the FIFA Ballon D'Or on Monday after his displays in 2013. Real are unbeaten in eight games in the league and Ancelotti is demanding a win from his players when they travel to Catalunya, although he is unsure which result he would like to see emerge from the Estadio Vicente Calderon. "It is hard to think about what the best result (between Atletico and Barca) for us would be," the Italian said ahead of the match. "They cannot both lose, but neither can they both win. We have to win to make up points with Barcelona or Atletico." Espanyol have earned draws in their last two meetings with Real, however they come into the game on the back of consecutive defeats in the league and Wednesday's first-leg Copa del Rey tie with second -tier Alcorcon. Raphael Varane and Sami Khedira (both knee) are the only players unavailable for the visitors but Aguirre will be without his captain Sergio Garcia through suspension and David Lopez after he picked up a thigh injury in midweek. 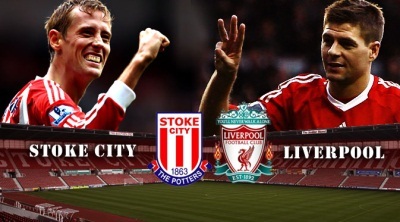 Liverpool travel to Stoke City on Sunday still seeking a first league win at the Britannia Stadium. Although the Merseyside club have twice run out winners in League Cup ties at the ground, famously recording an 8-0 success in November 2000, they have failed to win on five top-flight visits since Stoke were promoted to the Premier League in 2008. Liverpool have, in fact, been beaten in three successive league games at Stoke, but will still start as favourites this weekend given their impressive season to date. Brendan Rodgers' men sit fourth in the table, six points behind leaders Arsenal, and boast the league's most prolific scorer in Luis Suarez. The Uruguayan forward has 20 goals from 15 starts - one more than the entire Stoke team have managed in 20 outings to date. Liverpool could also welcome back Daniel Sturridge this weekend, the England international having returned to training following a near two-month lay-off with an ankle injury. Despite the obvious threat posed by Liverpool - and Suarez, in particular - Stoke's Jonathan Walters believes his side can prevail on Sunday. The Ireland international takes confidence from a 3-1 victory in last season's corresponding fixture, in which Stoke responded to an early Steven Gerrard penalty by roaring to victory with arguably their finest display of the campaign. Walters, who scored twice in that game, told Stoke's official website: "In terms of what we have produced in the Premier League, that was arguably as good a team performance as we have put in, and we will need something similar on Sunday if we are to get the result that we all want. "We have beaten them before, though, and this season we have been very strong at home, especially against the big sides, so we can take a lot of confidence from that into this particular game and hopefully come away from it with the points." Walters will not have such fond memories of the last encounter between the two teams, on the opening day of this season. The former Ipswich Town man had a late penalty saved by Simon Mignolet at Anfield, meaning Liverpool were able to claim a 1-0 victory thanks to Sturridge's first-half goal. Liverpool will be without Daniel Agger (calf), Jose Enrique (knee) and Jon Flanagan (hamstring) this weekend, but are set to welcome back Mamadou Sakho (hamstring). Robert Huth (knee), Asmir Begovic (broken finger) and Andy Wilkinson (foot) remain sidelined for Stoke, who are set to make a late decision on whether Thomas Sorensen, the recent victim of an Achilles injury, or Jack Butland starts in goal. Jose Mourinho may be slightly worried about lack of goals from his forwards, his team can go past second-placed Manchester City if the team triumphs against Hull City this weekend. Jose Mourinho's Chelsea will attempt to increase the pressure on their Premier League title rivals by moving to the head of the table with victory at Hull City on Saturday. Three points at the KC Stadium will take the Blues ahead of second-placed Manchester City who travel to Newcastle 24 hours later, while current leaders Arsenal visit struggling Aston Villa on Monday. So Chelsea's time, if any, at the summit may be brief but victory on Humberside would maintain a pleasing run. Last weekend's FA Cup win at Derby County marked a fourth successive success for a side who've conceded just one goal in their last five outings. And while Mourinho continues to have concerns about the lack of goals from his forwards, the contribution from midfield has masked the deficiencies up front. The Portuguese manager has claimed the club will not bring in a new striker during the January transfer window to supplement his current trio of Samuel Eto'o, Fernando Torres and Demba Ba. But with Ba's Chelsea future looking increasingly uncertain -- his last appearance came in the League Cup quarter-final defeat by Sunderland -- the Senegal forward's departure would almost certainly trigger a move for a replacement. Atletico Madrid's Diego Costa is one of the high-profile names linked to have been linked with a move to Chelsea. Meanwhile, Costa's current team-mate Thibaut Courtois has again questioned his Chelsea future. The young goalkeeper is midway his third season-long loan at the Spanish club where his performances have drawn widespread praise, prompting Mourinho to describe the Belgian as the best young keeper in the world. But Mourinho has also spoken of his current number one Petr Cech as the best in the business. And that has prompted growing frustration on the part of Courtois, who has made it clear he now wants his long term future resolved. "About my future, I cannot wait much longer.I need to make a decision with Chelsea as soon as possible, in March, but at the moment I do not really want to talk because there are so many games and you must be focused," he said. Mourinho began his second spell as Chelsea manager with an opening-day 2-0 victory over Steve Bruce's Hull side at Stamford Bridge. But City defender Curtis Davies said the Tigers feared no one at the KC Stadium. Hull have the sixth-best home record in the Premier League, winning half of their 10 games, including a 3-1 victory over Liverpool in December. "We're confident we can beat anyone at the KC," said Davies. "We know we have to be right on our game and, maybe a side like Chelsea have to be slightly off it. "We're not going to kid ourselves that if both of us are at 100 percent, that we're going to outplay Chelsea and win. "If we're at our game and we do the right things in terms of frustrating them, then maybe we can nick a goal and keep a clean sheet to win the game." Davies added Hull's defeat at Stamford Bridge taught them a valuable lesson about the demands of the Premier League. The promoted Tigers were 2-0 down after 25 minutes but rallied in the second half to limit the damage. "It was a lot of the players' first game in the Premier League, it was on TV and with Mourinho going back, there was a lot of hype away from the football side of the game," Davies explained. "The fact that we managed to come through that 2-0 and make a fist of it in the second half, we grew in confidence. "We knew it wasn't going to come much harder than that, so it was a blessing in disguise." Chelsea's Branislav Ivanovic and Frank Lampard are again sidelined while Hull's Paul McShane is expected to be out for a month with an ankle injury. Monaco coach Claudio Ranieri said he hopes his team's Coupe de France victory over lowly Vannes can kick-start their season. The club from the principality ended 2013 in poor fashion, losing 2-1 in front of their home fans to Valenciennes, which saw Paris Saint-Germain gain a three-point lead in Ligue 1. But after seeing Monaco return from their two-week winter break with a 3-2 triumph over Vannes, who sit bottom of France's third tier of football, Ranieri said his players are ready for Friday's trip to Montpellier. "I think the cup game against Vannes was good for us because it allowed the team to wake up everything," the 62-year-old Italian said. "I thought it would be a tough game, because it's normal when you go away to play against a smaller team, they will play better. "They will go in with the intention of causing a shock and will play with heart. "For us it was important to qualify and also to wake up everyone, because it's not easy after the holidays to start the season once more immediately." 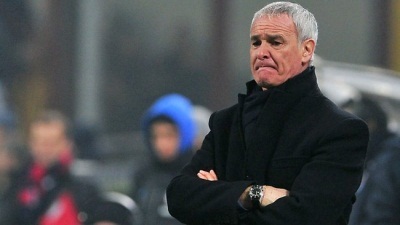 Ranieri said the clash with Montpellier, who sit just outside the relegation zone in Ligue 1, will be critical to Monaco's chances of winning the league title. With PSG set to travel to bottom-placed Ajaccio on Saturday, Ranieri knows Monaco cannot afford to give the reigning champions a bigger lead. "The game against Montpellier this Friday will be a very important one for the club," the veteran coach said. "We finished 2013 with no form at all and it was a bad way to end a great year for us. So it is important we find form early on in the New Year." Roma face the challenge of bouncing back from a first loss under Rudi Garcia when Sampdoria visit in the Coppa Italia on Thursday. A 3-0 reverse at Juventus on Sunday left Roma eight points adrift of Antonio Conte's men at the top of Serie A. Prior to the match at Juventus Stadium, in which Daniele De Rossi and Leandro Castan were sent off, the capital club's last defeat had come in the 2012-13 Coppa Italia final against Lazio in May, two and a half weeks before Garcia was appointed coach at the Stadio Olimpico. Despite enjoying a 17-match unbeaten run before losing to Juventus, Roma head into the last-16 tie against Sampdoria having won just two of their last eight fixtures. However, Garcia's side can take confidence from a 2-0 victory at Sampdoria earlier this season, secured courtesy of goals from Mehdi Benatia and Gervinho. While Roma were runners-up in the Coppa Italia last season, Samp suffered a third-round defeat to Serie B outfit Juve Stabia, losing on penalties following a 1-1 draw at Stadio Comunale Romeo Menti. Roma have yet to play in the competition this term, while Sinisa Mihajlovic's men have recorded home wins over Benevento and Verona. After consecutive postponements due to bad weather, the Paris squad finally took off for Brest on Tuesday evening where they will take on the Brittany side in the round of 64 of the Coupe de France on Wednesday. On Tuesday afternoon, Laurent Blanc's side went through their third pre-match training session for the same game: the Coupe de France rd-of-64 clash against Stade Brestois. This time, Les Parisiens finally took off for the Finistère department at the end of training at the Ooredoo Centre. The Paris coach Laurent Blanc has a full-strength squad to choose from, minus midfielder Marco Verratti (groin) and Christophe Jallet (back). 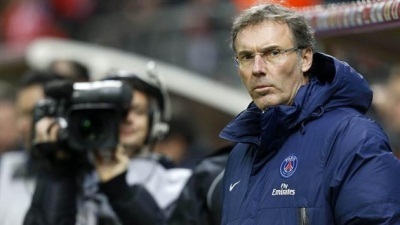 The Rouge et Bleu coach likes the Coupe de France having won it twice as a player (Montpellier 1990, Auxerre 1996), but he is yet to win it as a coach. 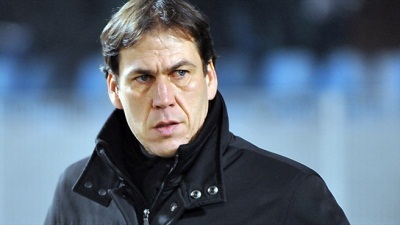 On Wednesday evening, the Rouge et Bleu coach will have to lead his side past a Brest outfit struggling in Ligue 2, but looking forward to "a gala match", according to their coach Alex Dupont. On a Stade Francis-Le Blé pitch that has been given the green light, but probably still showing the signs of the recent rains storms, Les Parisiens will have to answer the challenge. Join us at 20:00 on Wednesday on the club's media platforms to follow all the action of this do or die Coupe de France match. Internet sports betting has been developed into a big industry today. Several sports books are now operating on the web, accepting wagers from bettors around the world. Well, internet sports betting is favored by many players for the reason that it gives them better chances of winning. Another major reason for that ever growing popularity of internet sports betting is that the online bookmakers can save you a lot of time. This is obviously for the fact that with this gambling trend, you do not need to search and approach a local bookmaker just to place a bet. With the internet sports betting, you can easily place a bet at any time of the day and night without leaving your room. To start your ultimate internet sports betting, you need to choose a reliable bookmaker. As what I’ve said earlier, several bookmakers are now out there on the web, so finding the most reliable one could be difficult. The best thing to do now is to read reviews or choose the ones that you have heard before, that have a well-known name, reliability and credibility. Look for some recommendations online and if you’ve found one, read first the rules of your chosen bookmaker to see if you are okay with them and also to avoid some possible problems in the future. Choose a couple of bookmakers for opening accounts with. If you’ve found the right portal to place your wagers on, start opening your account. Opening a sports betting account online is just very simple. All you need to do is to look for the link “Register” or “Open Account”. Click on it and provide some information about yourself. You will be asked about a user name and password which you will be using in your every visit. For you to place a bet on internet sports betting, you have to have some money on your account. So the next step would be to deposit the money. Note that several online bookmakers today offer a wide range of possibilities for depositing your money. They often welcome credit cards, by check or by bank wire. Once you have deposited your money for internet sports betting, it is also important to check for bonus after your deposit. Most bookmakers actually provide some sort of bonuses or promotional offer after your first deposit. Place your bets. But before you do this, check and understand first how to place a bet at your chosen bookmaker. Read the rules of your bookmaker and be careful when you place your first bets. There are some internet sports betting sites these days that have different types of odds and this can be tricky. So if possible choose odds format that you are familiar with. Finally, whenever you have some questions at the internet sports betting site you’ve chosen, or if you have problems with your bets, don’t hesitate to contact the customer service of your chosen internet sports betting bookmaker. Note that customer service is there to help you, so let them do their job. They are paid for that job after all. When betting on sports, it is no surprise for you to know that hundreds of bettors lose their bets. Well, losing at sports betting is just normal. But didn’t you wonder why so many people lose at betting on sports despite the fact that sports betting provides them better chances of winning? Some say that it is because of poor handicapping. But while this can be true, for me it is not the exact reason that bettors lose as there are hundreds of folks that are expert handicappers who still lose their shirts year in and year out. The truth of the matter is, people lose at betting on sports because of poor money management skills. People with poor money management skills are usually uninformed. However, this is not often the case as others manage their money poorly because they are undisciplined. No matter what the case may be, people who lose at betting on sports are both uninformed and undisciplined. So if you are serious about success in betting on sports, then I guess it is very crucial for you to make plan and remain disciplined. As what most of the money management experts often say, it is best to set up your own goals, your strategy for winning at betting on sports, and of course some betting rules that you will always keep in mind during your sports betting. When I say setting up of your goals, what I mean is thinking first from what you want from a certain sportsbook.You should set up your goals as money limit that you want to earn. Always remember that when betting on sports, one should bet only with money that he or she can afford to lose. To put it simply, never bet with money that you cannot afford to lose or you do not have for that can only bring you lots of problems in the end. As soon as you have set up your betting goals, you should then start defining the betting strategies you might take. One particular winning strategy that I am familiar about is the so-called betting on singles only. According to some expert bettors and handicappers, it is very important that when betting on sports you avoid accumulators. Perhaps one main support for this is the fact that your possibilities for winning at sports betting are decreasing with every game added in accumulator. So at the beginning of the game or the betting season, try to set up your usual betting amount and only bet most of your singles. Then, when you find yourself winning at a particular betting season, do not increase stakes. This is also true when you are in losing streak either. Finally, betting on sports needs a time for little rest. So if you find yourself loosing streak when betting on sports and it seems that you cannot win, think that maybe it’s time for you to take a little rest. Consider not to bet for a week or two. As far as I know, this will help you obtain a better view of things. Also, think that in sports betting not all... See more on the best free betting tips site. Many betters who place their money on various sporting events for a profit want to be sure to get the best odds possible. Nevertheless, no matter what game they become involved in, they will be unable to avoid the idea that the best sports betting odds with always favor the house. This fact also holds true within the games and machines found in all casinos. The best sporting odds tend to be higher than those of other gambling games. In most cases, the betters of sporting events can expect to receive about 8 to 10 percent of their initial investments back. For example, if you bet $100 on the sporting event, the chances are high that you will make at least $108-$110 back in the long term. However, the real question here is how to locate the best betting odds when it comes to sports. There are a variety of ways that you can find the best betting odds for sports. One such method is to locate the most reliable sports books available out there. These sports books are generally used to show money lines and spread sheets, which are what most sports betters use when determining whether or not to wager their money on a certain team, whether it be a favorite team or an underdog. In order for sports books to be truly beneficial, betters must remember that they are not playing the actual sports books. They need to understand that there is a difference between these books and the real odds, which are not completely determined by the books. The odds are instead a predictive measure that has been created by the bookie. The best odds for sports betting are expressed in numbers. These numbers depend on a variety of factors, but may be altered or adjusted if it is sent that a great deal of betters placing their wagers on the same team. In what ways do bookies compensate for this action? They simply add points to a losing team and remove points from the more popular team. With this method, the bookie is able to make the most money with the best sports betting odds. This is where the idea that the odds will always favor the house come into play. Examining the money lines is yet another strategy for determining the best sports betting odds. Some experts of gambling state that the best way to understand what a money line is is to consider it as what the better should wager in order to make $100 in profits from the bet. The money line itself is typically represented with a positive or negative number. For instance, it could be -100 or +100. As it was mentioned earlier, the long term profit for the placement of these bids typically comes out to be 8-10 percent. Here is a question that few people ever really ask: why should you bet on sports? Some may find this to be a rather odd question. Most people have never really pondered their answer. Generally, the common response will be that they bet on sports to make money. Honestly, that is a perfectly fine answer. No one will look to wager on sports to lose money! In all seriousness, it is a nice thing to win a lot of money, but making the best sports picks is not always easy. Right now, we can look at a few of the other reasons why it is best to bet on sports. Betting on sports can be fun and exciting. Yes, there is a financial component to making the best sports picks. No one wishes to make a poor financial decision. Of course, most people realize you cannot win every time you place a wager and no one ever expects this to be the case. However, there is still a lot of excitement that you can have whether you win or lose as long as you do not suffer a high amount of losses. The key to circumventing such an outcome would be not to bet more than you can afford to lose which would be simple, basic common sense. There is a sense of excitement you can draw from the venture because you will be pulled into the game. This can be considered part of the psychological enjoyment when you bet on sports. In a way, you have such a stake in the outcome in the game you become part owner of the team for a very short period of time. Well, you do from a psychological standpoint at least. With a wager, your stake is stronger than that of a casual fan, which adds to the great benefit of playing the game. Again, just be sure never to go overboard with the amount you actually wager. It does bear repeating, you can make quite a bit of money when you best on sports. When you hit a streak of quality sports picks, you will discover that your fortunes might turn around a lot quicker than people realize. Consider that another major reason why it is worthwhile to best on sports. Just be sure you are doing the proper research on the teams you are wagering on. Wagering should never be random or based on selections that are not logical. This will be the pathway to losing money as opposed to making any. So, look toward making reliable sports picks whenever possible or else you will discover your ability to amass money wagering will be nil. For those that may not be all that adept at making picks, here is some advice: sign on with a solid sports betting line service. Often, they can provide excellent picks and predictions that will improve your chances of winning. And that is what you want in the long run is it not? While many will mention how much fun they have with sports betting, they will also be quick to acknowledge that much of their fun will be predicated on winning. No one really likes to place a wager and end up on the losing end. Yet, that is part of the game. Are there ways to minimize it? Here is some good news for those wondering such a thing: the following five top notch betting tips will certainly boost the chances of winning - and winning big - at any sports you place a wager on. Perform a high amount of research. No, this does not mean you need to invest an enormous amount of time tracing the history of the team back several decades. While such amateur historian work can be a little fun it would also be a bit unnecessary. Instead, simply review the win-loss records of the team, coaching changes, injury reports, and other factors that play a role in the outcome of a team's performance. Follow the lines offered by a top of the (pardon the pun) line handicapper. Lines play a large role in virtually all sports betting ventures. Mostly all betting tips would be useless if you were not following effective lines designed to give you a clear idea of who is the favorite and who is the underdog. Take part in alternative sports betting as a way of hedging. There is most than one type of bet you can place on a particular game. An over and under bet would be a common example of this. How does an over and under bet work? Basically, you would be placing a wager on whether or not the combined total of the final score is either higher or lower than the figure presented by the handicapper. Many will place over and under bets as a hedge to cover any losses if their primary picks do not win. Of course, if the primary picks do win and the over and under bets wins, you can really clean up on that game. That is why wagering on the over and under as a hedge might be among the most helpful of all betting tips. Subscribe to a well respected game prediction service. First off, no service can credibly make the claim that it can provide 100% accuracy with all predictions. No reasonable person should expect that any service can. However, there are wagering prediction services that can develop a consistently higher rate of accurate predictions. Such services would be the ones you would be better suited for signing up with since they are known for their higher percentage of quality results. Bet with your head and not over it. This would be one of the best betting tips to give anyone. Such a slogan is prominently featured on the walls on many casinos in Vegas and Atlantic City. Those that do wish to get the most out of their sports betting experience are well advised to place wagers they can afford. To do otherwise could prove incredibly detrimental to their finances. And what would be the fun in a scenario such as that? Sunderland and Manchester United have the chance to put their respective troubles to one side on Tuesday by closing in on a Wembley final. Both clubs have fallen some way short of expectations in the Premier League so far this season, with Sunderland languishing at the foot of the table and United 11 points behind leaders Arsenal in seventh. United were also dumped out of the FA Cup on Sunday as Swansea City claimed a shock 2-1 win at Old Trafford to pile further pressure on David Moyes. However, both United manager Moyes and Sunderland head coach Gus Poyet will know a trophy is well within reach when their teams meet at the Stadium of Light for the first leg of a League Cup semi-final. Sunderland have already sprung one major surprise in this season's League Cup, knocking out Chelsea at the last-eight stage courtesy of Ki Sung-Yueng's extra-time winner. In contrast to United, Poyet's men also tasted success in the FA Cup at the weekend, beating League One side Carlisle United 3-1 to reach the fourth round. Although Sunderland will have significant concerns over their own Premier League position, it is United who will surely go into Tuesday’s match under the greatest pressure. 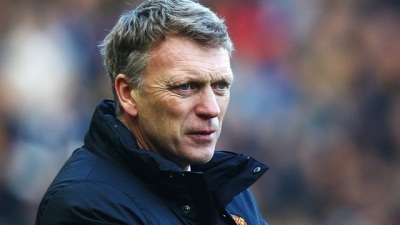 In his first season since taking over from the legendary Alex Ferguson, Moyes has overseen five home defeats and will be eager to head back to Old Trafford for the second leg against Sunderland with a lead. United, who ran out 2-0 winners at Stoke City in the previous round, have lifted the League Cup on four occasions, with three of their triumphs coming in the last eight seasons. Sunderland's only final appearance came in 1985, when an own goal from Gordon Chisholm enabled Norwich City to claim a 1-0 victory at Wembley. Moyes will have to cope without Fabio after the defender picked up a straight red card in the defeat to Swansea. Fabio's dismissal came just four minutes after he had been introduced as a replacement for Rio Ferdinand, who appeared to suffer a knee injury. United were without strikers Robin van Persie (thigh) and Wayne Rooney (groin) against Swansea and both appear likely to be unavailable at Sunderland. Sunderland are without goalkeeper Keiren Westwood (shoulder) and defender Carlos Cuellar (thigh), while captain John O'Shea, who spent more than 10 years with United, has been troubled by a persistent shoulder problem in recent weeks. The two teams last met in the League Cup 13 seasons ago, with Sunderland winning a fourth-round tie 2-1 after extra-time at home. Napoli head coach Rafael Benitez has dismissed links with Chelsea's David Luiz and Juan Mata, saying he is 'pleased' with his current squad. 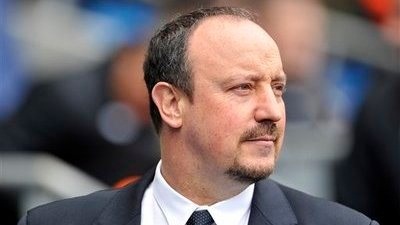 In the lead-up to Napoli's clash with Sampdoria on Monday, Benitez spent a chunk of his press conference responding to questions about possible additions during the January transfer window, although the Spaniard said most players linked with his club do not interest him. Napoli have been linked with Luiz, Mata, Barcelona's Javier Mascherano and Lyon's Maxime Gonalons, while reports have suggested Colombian striker Duvan Zapata may leave the club. But Benitez says none of those moves are likely, while he added he is very pleased with the quality of his defenders despite Napoli having conceded almost twice as many goals this season as Serie A leaders Juventus. 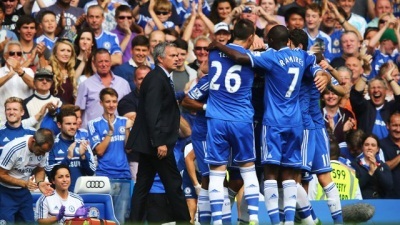 "I am pleased with the squad we have," Benitez said on Sunday. "There has been talk of a departure for Duvan Zapata but that is not true. I am happy with him and he stays here. "I read in the papers that we are close to a deal for Mascherano, David Luiz and Mata, but that is not true. It is very difficult to get players like that. "On most of the players linked with Napoli, there isn't a real interest from us. "Signing a defender? At Christmas I watched the Premier League and I didn't see any players at (Raul) Albiol's level. And there are few players in the market stronger than (Miguel) Britos and (Federico) Fernandez." Napoli sit 13 points behind Juventus ahead of their match against Sampdoria with Benitez struggling with a long injury list that includes Marek Hamsik, Pepe Reina and Valon Behrami. Benitez says Hamsik is not far away from returning to the first team, although the Slovak midfielder will miss the clash with Sampdoria, while the 53-year-old coach paid tribute to the Genoese club's new boss Sinisa Mihajlovic, who has overseen a six-game unbeaten run since taking over from Delio Rossi. "Samp have a new coach with a lot of character," Benitez said. "I just hope Mihajlovic stays on the bench, as he might want to step on to the field and take some free-kicks." David Moyes heads into Sunday's FA Cup third round clash against Swansea desperate to end Manchester United's 10-year wait for Cup glory. United have been struggling in the Premier League and Wednesday's defeat against Tottenham left them 11 points behind leaders Arsenal. 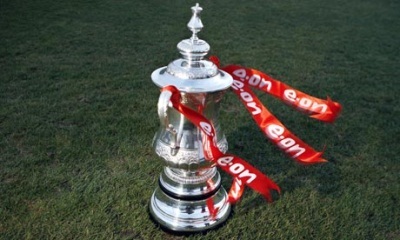 With their hopes of defending the title looking all but over, the FA Cup is a potential opportunity for Moyes to win his first major silverware as a manager and also ensure he does not end his first season at United without a trophy. United last won the Cup when they defeated second tier side Millwall 3-0 in the 2004 final. But after a heavy fixture schedule over Christmas left United with a mounting injury list, boss Moyes admits it is a difficult time for his side to be facing another Premier League club in the third round at Old Traffford this weekend. "The Cup is important. It's certainly important to me and always has been," Moyes said when asked if he would field an under-strength team against Swansea. "I think it's important to every club. The longer you stay in, the more important it becomes and for most Premier League clubs this is just the start of it. "At this moment in time with a lot of Premier League games having been played, it's a difficult time." Since beating Millwall in Cardiff, United have lost FA Cup finals to Arsenal and Chelsea and also suffered a semi-final loss against Manchester City in 2011. "I'm sure there is frustration among the players because if you're at a club like Manchester United you want to be involved in trophy winning opportunities," Moyes said. "To not win an FA Cup for 10 years is something which is a bit of a surprise but it is something we will try and do. "We're trying to win all the competitions we enter which most people are trying to do. As far as I'm concerned, we will do everything we possibly can to get through." United striker Wayne Rooney will miss the match due to a groin injury, Moyes has revealed. The England striker, 28, has been nursing the problem for the last few weeks and sat out his side's 1-0 victory at Norwich City in the Premier League on December 28. He returned for Wednesday's 2-1 loss at home to Tottenham Hotspur, but with a League Cup semi-final first leg at Sunderland coming up next week, Moyes has decided to rest him for the visit of Swansea. Rooney's strike partner Robin van Persie is also currently sidelined with a thigh problem, leaving Danny Welbeck and Javier Hernandez as Moyes's only fit senior strikers. Swansea won the League Cup last season and boss Michael Laudrup revealed they will take inspiration from FA Cup holders Wigan, who defeated Manchester City in the final. The Swans' chances of going all the way took a significant hit when they were drawn against United at Old Trafford –- a ground they have never won at in 10 attempts. The last time Swansea got a draw at United was in 1934 and they lost on their next eight visits. But Laudrup remains confident he can guide them past United and deliver more silverware to south Wales. "You have to believe," he said. "Just look what happened with Wigan last year and with us in the League Cup." Pablo Hernandez will miss the Cup tie with a hamstring problem and he joins Michu, Michel Vorm and Nathan Dyer on the sidelines. Three all PL ties feature, two ties could produce an upset, featuring Newcastle United, Southampton, Arsenal, Tottenham Hotspur and Manchester United. It’s one of the most exciting weekends in the footballing calendar, the third round of the FA Cup when the teams from the top two divisions enter the action. The draw has thrown up a couple of interesting ties for different reasons. There are a couple of relatively local clashes, potential upsets and managerial debuts as sides look to book their place in the fourth round draw. Here is a look at five games which could catch the eye of the neutrals. It’s a pretty tough task for Ole Gunnar-Solskjaer in his first game in charge of Cardiff City as his side travel to the North East to take on Newcastle United, who have enjoyed a pretty good Premier League season so far. 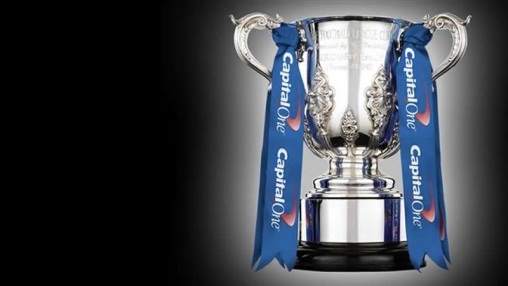 It will be interesting to see how Solskjaer will approach the FA Cup with survival in the Premier League the priority, whilst Alan Pardew will see the Cup as an opportunity to end Newcastle's 45 year trophy drought. Southampton haven’t been in the best of form lately – all be it with a difficult run of fixtures whilst Burnley have been flying high in the Championship, and are firmly in the promotion mix. They may fancy their chances of an upset on the south coast, unless they decide to prioritise their league campaign and rest a few players instead. West Ham have been in wretched form which seems them in the middle of a relegation dog fight in the Premier League. There is the added distraction of their League Cup semi-final against Manchester City in midweek. Forest have had a strong season in the Championship so far this season with them sitting in the playoff spots. Combine all those factors, plus that Forest are the home side, they will fancy their chances of an upset. Without doubt it is the standout tie of the third round as the North London rivals do battle. Both teams go into it on a high with Arsenal sitting on top of the table and Spurs looking revitalised under new boss Tim Sherwood - it promises to be an intriguing encounter. Arsenal won the Premier League fixture at the Emirates Stadium in September, as bragging rights as well as a place in the fourth round are up for grabs. Both sides are not having the season’s they would like to have, that is for sure. Manchester United’s cup form has been pretty good with David Moyes’ side currently in the semi-final of the League Cup and in the Champions League knockout stages. But their home form hasn’t been the greatest on the domestic front. As for Swansea they would like to improve on their domestic form of late and claim a huge scalp and add to the misery surrounding United’s form at Old Trafford.